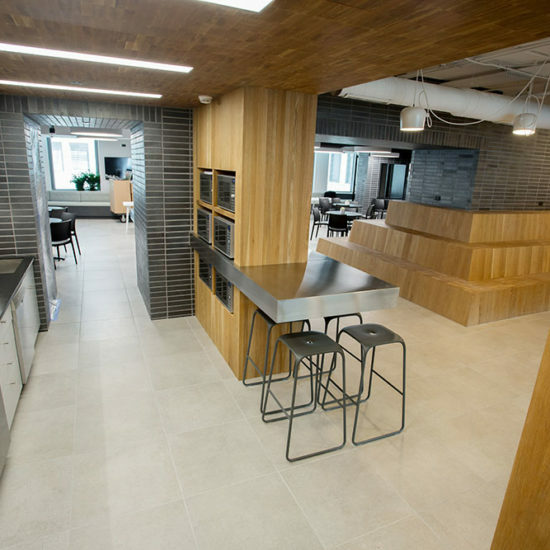 Call Center – Alps Construction, Inc. 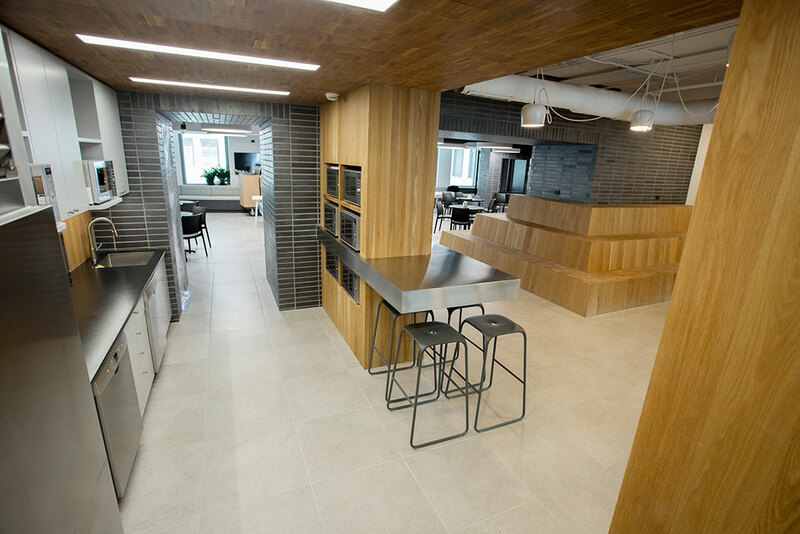 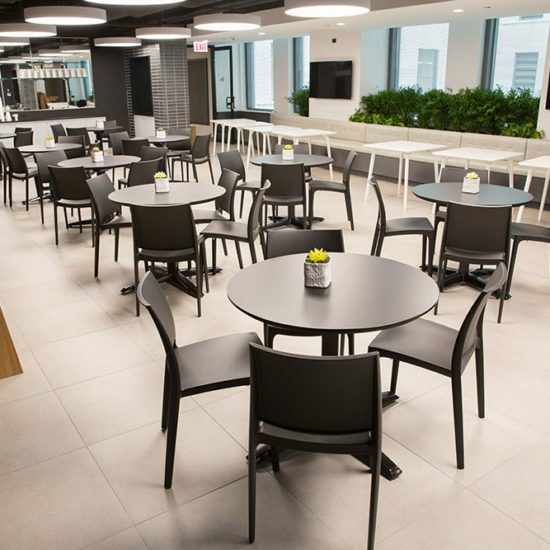 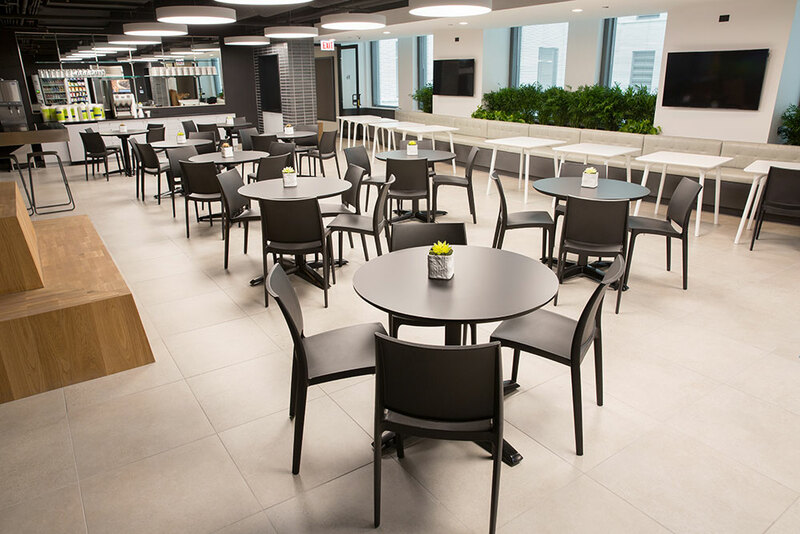 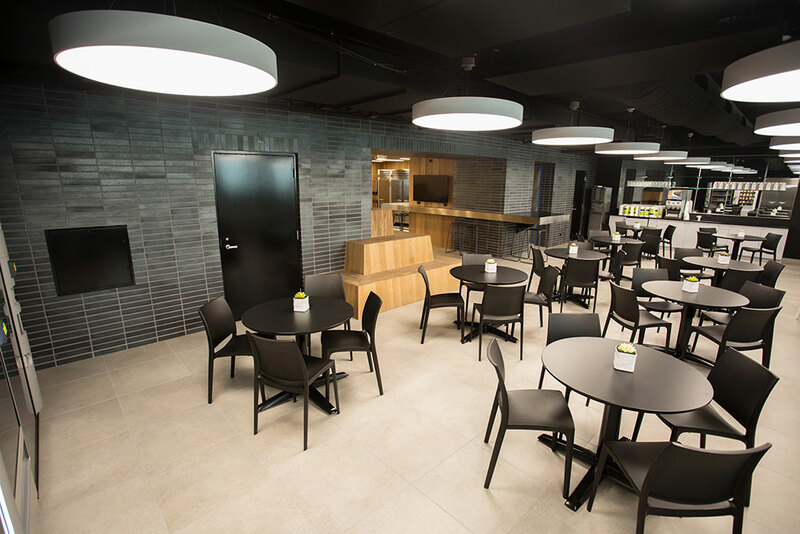 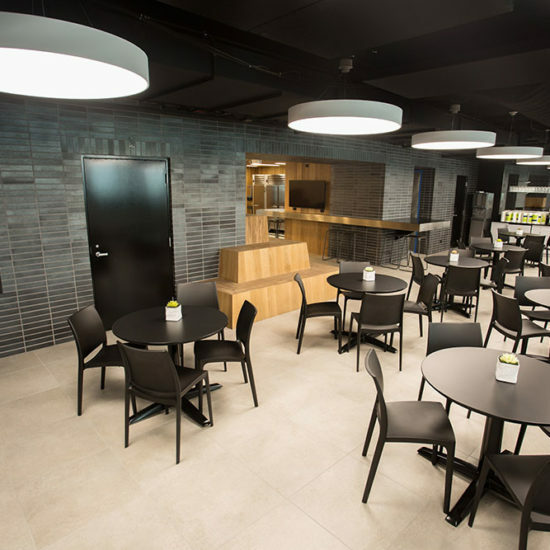 The Call Center for a large retail firm incorporated a core area of meeting and training rooms along with a café lounge for employees. 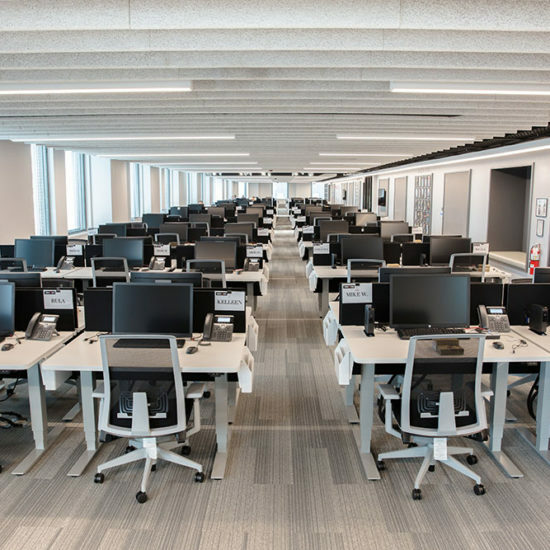 The call center areas were constructed with the open structure environment. 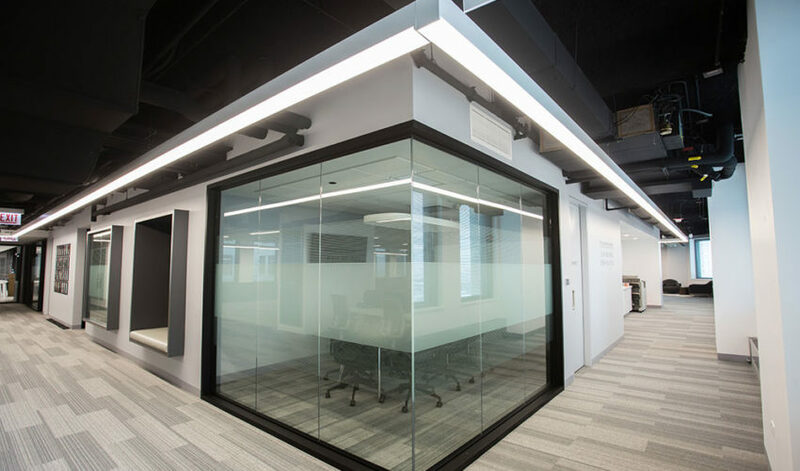 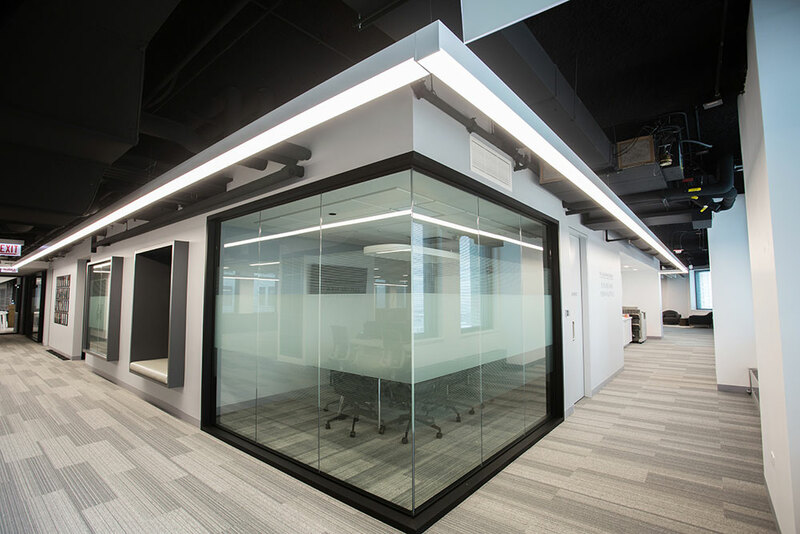 To maintain an acoustic quality conducive to the call center operations, it required the installation of a spray applied sound absorbing insulation in tandem with a series of sound absorbing baffles. 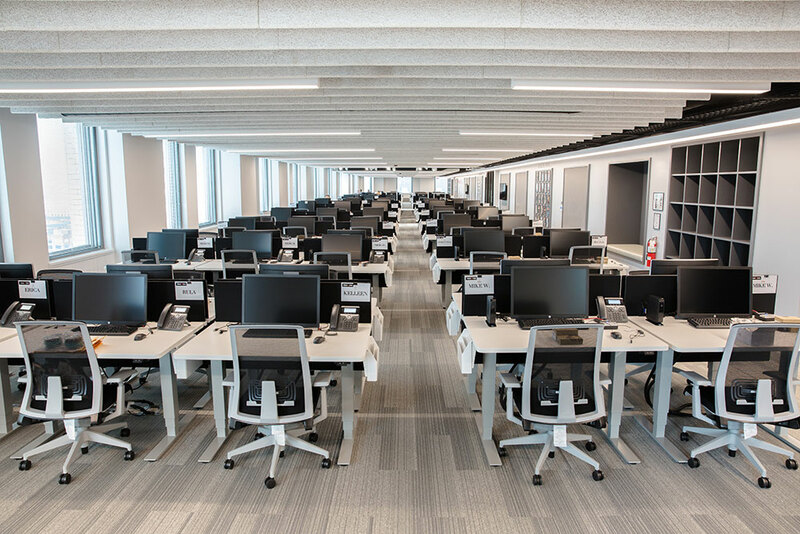 Due to the long hours of operation, the mechanical systems were upgraded to operate after building operation hours.